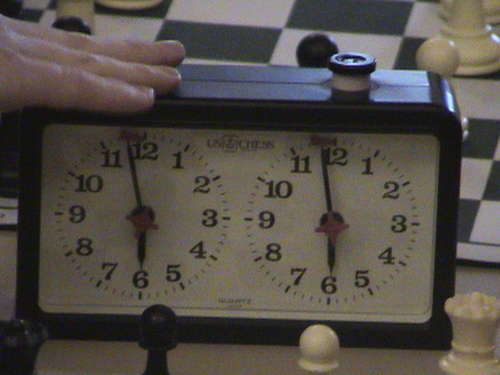 01.23.07 The Portland Chess Club will be hosting two ongoing tournaments beginning Friday, February 2, 2007 and continuing into the spring: the Friday Winter Swiss and the celebrated Portland Chess Club Ladder Championship. Both tournaments will be played at a time control of Game in 90. Thanks to Lee Doucette for directing these tournaments and for providing the details. Games may be played at mutually agreed location if unable to make it to a club meeting, but this limits your appeal to the tournament director for rulings. This is an unrated tournament (USCF rules apply) for any club player, with seeding based on ladder points (see me at the club for an explanation and your ladder rating). The idea here is to get to play as many other club players as possible for club bragging rights. I hope you can participate in one or both of these club events.